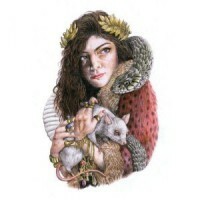 Enigmatic 16-year old star in the making ‘Lorde’ is Ella Yelich O’Connor from New Zealand. Inspired by the likes of Burial, James Blake and David Lynch films – she’s inventing her own sound, writing music filled with inventive lyricism. Currently recording her album for September release.